Get more detailed with your etching projects using this new precision tip for the Explore. No extra tools required, just add the precision tip in place of the blade and engrave/etch anything you would normally. Examples shown are NOT included with this product. With this precision tip you can engrave on pretty much anything you can fit under the rollers in the Cricut Explore. 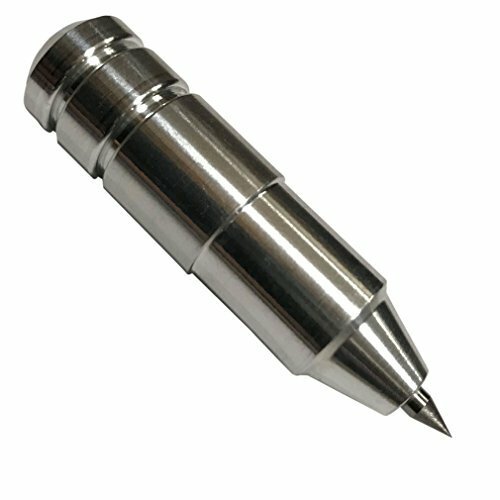 The precision tip has a sharper point then the original engraving tip and can help with finer details for etching designs. Simply add the precision tip in place of the blade and engrave anything you would normally cut. The precision tip does not require any other special pieces to work. No special mats either, just use your original Cricut Mat. You may need to add extra adhesive to hold your item in place. This tool will work in any of the Explore machine line except the Explore One. It will NOT work in the Maker or Silhouette. Examples shown are NOT included with this product. As always made in the USA! View More In Engraving Machines & Tools. If you have any questions about this product by Chomas Creations, contact us by completing and submitting the form below. If you are looking for a specif part number, please include it with your message.